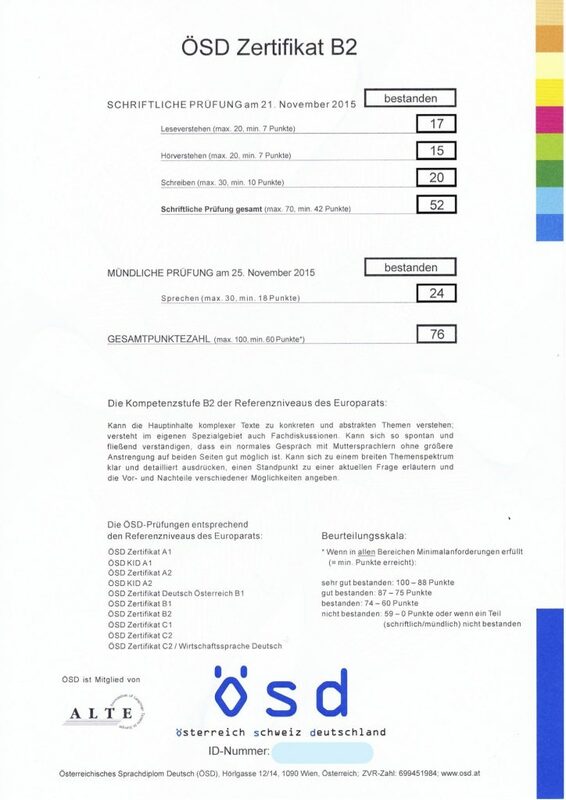 I passed the ÖSD Deutsch als Fremdsprache Niveau C1 in June this year with a score of 90, which gave me the rating of “Sehr Gut Bestanden”–the highest rating one could get in the exam. 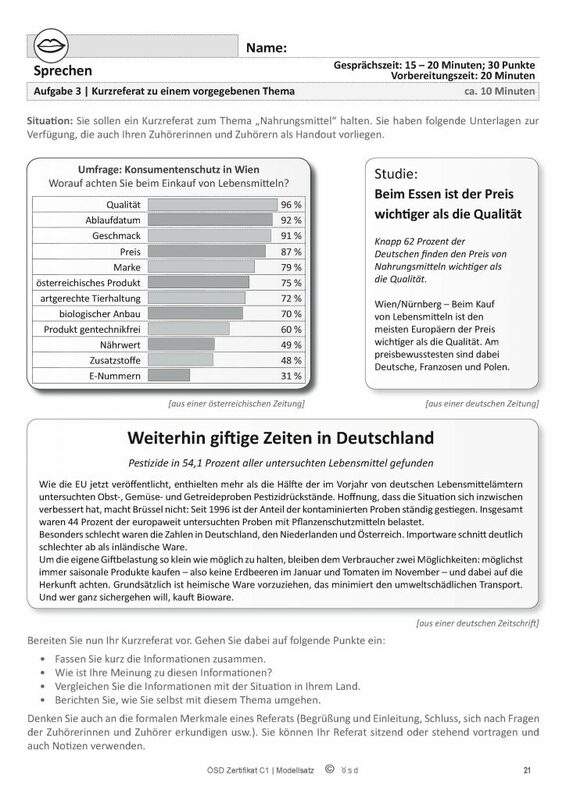 This is an excellent result for anybody who wants to learn the language and to settle down in a German speaking country. Although this post is focused on ÖSD C1, I am sure the methods in this post are also useful for other German exams. If you are not familiar with the ÖSD C1 yet, I suggest that you read my previous post on the structure of the exam. After finishing all the homework in the C1 book and before registering to the exam, I simulated the Goethe C1 exam at the end of the book. It didn’t strike me as particularly difficult but I think I could at best just pass the exam with a low grade. Then in January this year, before I really started preparing for the ÖSD exam, I did the official mock exam from ÖSD with time controlled. It was a disaster. I didn’t know it could be so difficult. The time was extremely tight for writing. And I was totally lost in the speaking part, which I simulated with my teacher. I discussed with my teacher about how much time I would need for preparation. I could register to the exam at the end of March, which would leave me with 2 months of preparation time, but my teacher advised me to take the exam at the beginning of June. She helped me to clarify one thing: although C1 certificate sounds good, it should not be my primary goal. I don’t need C1 certificate. My goal should be to further improve my language skills rather than to rush to pass an exam that doesn’t serve any practical purpose for me. She suggested the methods, which I summarize in this post. Since the reading and listening parts didn’t bother me much, the focus was on writing and speaking, with strengthening of vocabulary. She also promised that with the intensity of the exam preparation I would further improve my German significantly. 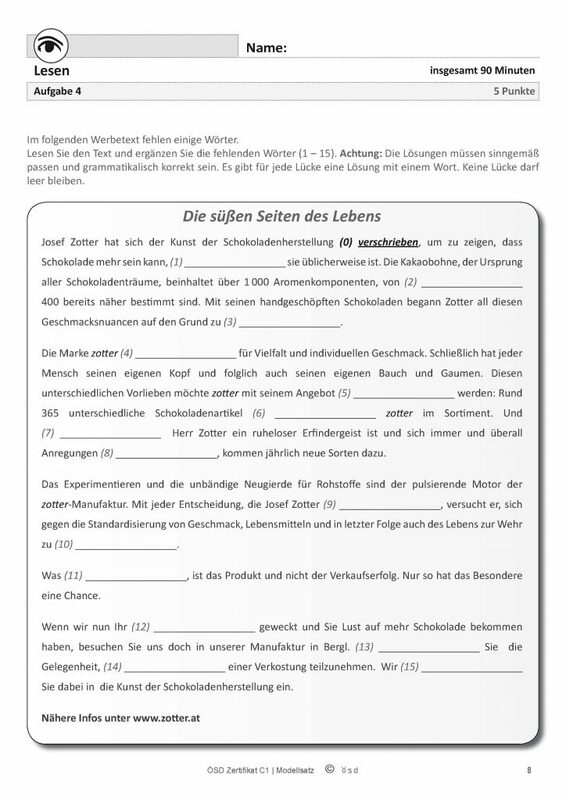 As ÖSD C1 is not Goethe or other popular exams based in Germany, exercise materials are scarce. But my teacher emphasized on repetition and iterative improvement, which means I should try to get the most of every mock exam by repeating the same exercise many times. Judging by my exam result, this approach worked extremely well. With every mock exam it went like this. I set aside a Saturday morning to simulate one writing exam, which includes the reading, listening and writing parts. The speaking part was left to the next appoint with the teacher. I chose one of the three topics in writing Aufgabe 2 to complete in the simulation, just like in the real exam. But the other two topics I didn’t choose should not go wasted. In the following two weekends I would practice with the other two. I tried to simulate the real exam conditions as much as possible. I controlled the time for every part. When a writing on Aufgabe 2 was done outside a simulated exam, I limited the time to 60 minutes. I wrote with a pen on paper in all the writing practices because that’s how it is in real exam. After completing both Aufgabe 1 and Aufgabe 2 I typed the original text in MS Word and sent it to my teacher. She would correct it in the next days and return it to me. The first round was only focused on correcting the grammatical errors and improving the variability of wording and expression. 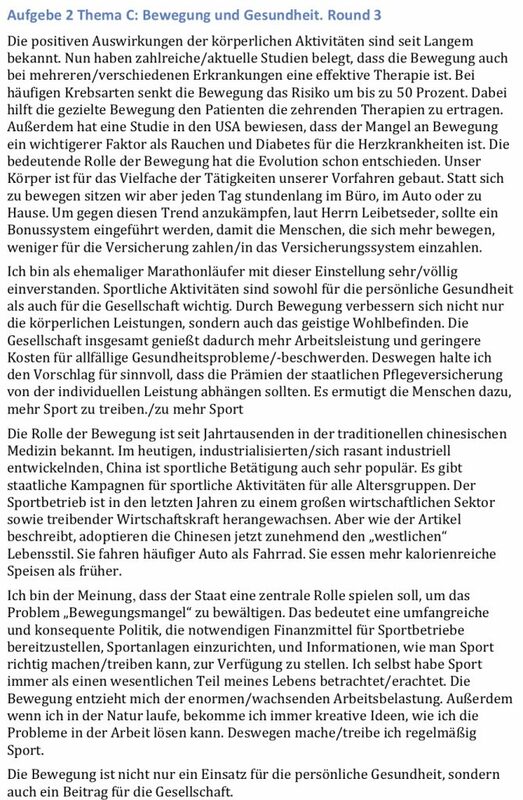 Then I would try to revise the article on Aufgabe 2, with a focus on the contents and connections between paragraphs and sentences. The second version would again be sent to her for correction and improvement. After these two iterations I had an article with decent quality by C1 standard. Then came the most difficult part. My teacher asked me to memorize every article I wrote. So I printed out the twice reviewed article and spent 2-3 hours to memorize it to the extent that I could recite it from beginning to end. Here I post the three editions of the same article I have written so that you can compare the results. The first is the original writing. Second is after the correction by the teacher. Third is after my revision and the second round of correction by the teacher. I went through the whole process on almost all the topics in the preparation materials I had collected. There were a few topics I found totally lame and couldn’t write anything meaningful about them. But I still did my best for these topics because, well, choice is a luxury in C1 exam. What if I don’t like any of the topics in my exam? In the end, all the exercises were designed to enable me to write two texts on any random subjects in 90 minutes. The structures, phrases, new words, and expressions I had learnt in the exercises became materials that I could actively use without thinking. I could focus on expressing my ideas rather than how to write this and that. Time distribution is also critical in the exam. The Aufgabe 1 should take ideally less than 20 minutes, which leave 70 minutes for the Aufgabe 2. It would be even better if you can spend 5 minutes on proofreading in the end. In my case I could always find several basic mistakes through proofreading. I tried to keep this time distribution in every simulated exam. After several months of practice, I could write on Aufgabe 1 almost automatically since the key points were already listed. The third option on Aufgabe 2, to write a commentary on the long article I have read in the reading part, seemed to be the most difficult at the beginning. But after I became more fluent in writing I actually liked this one more than the other two. This was what I chose in my exam. During preparation I had even devised a trick for this option. Since I always had a bit of extra time after finishing the reading part, I would use this time to mark the important information on the article and take notes. Although I must give back all the notes and exam sheet to the examiner after the reading part, I had built a mental model of the article, including what the key points were and how they could be summarized. I could also start to think about the other points I would like to write. When the exam entered the writing part, I scanned the topics very quickly. If I liked the other two seemingly easier options, I would still go for them. But in my exam the topic 3 was obviously more interesting for me. It took me maybe 10 seconds to make the decision and I didn’t read the details of the other two topics at all. I got 13/15 on Aufgabe 1 and 12/15 on Aufgabe 2, which I think is a reasonable result for the time I had spent on writing. More importantly, the whole process had indeed improved my writing in general. I could write emails and other documents at work noticeably better and faster than half a year ago. For the speaking part I followed the same principle of repetition and iterative improvement. I suppose Aufgabe 1 shouldn’t be difficult to anybody above B2 level. And my job gave me some advantage on the Aufgabe 2 because I need to convince people to get things done. The Aufgabe 3 was the the most difficult and was also where I have put the most efforts. The preparation went like this. In the first round I simulated with my teacher in class and got feedback immediately. At this round the topic of the Aufgabe was always new to me, like in the real exam. In the first three simulations I couldn’t even speak coherently for 10 minutes. The first challenge was to summarize the contents in a very short time. For that I developed my own format to note the points I would talk about. The task is but more than just summarizing. I would have to express my opinion, explain the situation in my homeland, and then talk about how I deal with it personally. The second round is not speaking. Instead I would take my time to actually write down a complete article covering all the talking points in the speaking exam. Although this writing was not time trial, I still got to write more, which obviously should count as writing exercises. My teacher would correct the text and I revise it again for another round of correction. Then I would memorize and recite the article I have written. Just like what I did for in the writing exercise. After this round I would go for the same speaking Aufgabe again, time controlled, starting with taking notes. There is no surprise that I could perform much better after actually writing down and memorize what I would like to say. I recorded the speaking, listened to it and would do another round in the following day. With every iteration I improved my performance on the same Aufgabe. It was 3 months into the preparation I finally managed to cover all the talking points on the first trial in one go. Afterwards I skipped the writing round, just repeated the note taking and speaking 3 times on every Aufgabe. Here you can listen to the three recordings of the same presentation. During the preparation I looked for references on the internet but ÖSD didn’t publish a lot. I compared my recording with the 2 official examples (example 1, example 2) from ÖSD. I was confident that I could pass the exam without a problem. Before the exam I registered to a preparation course for the speaking part. It was essentially a simulation with an experienced ÖSD examiner. After the simulation she said that I was really good. 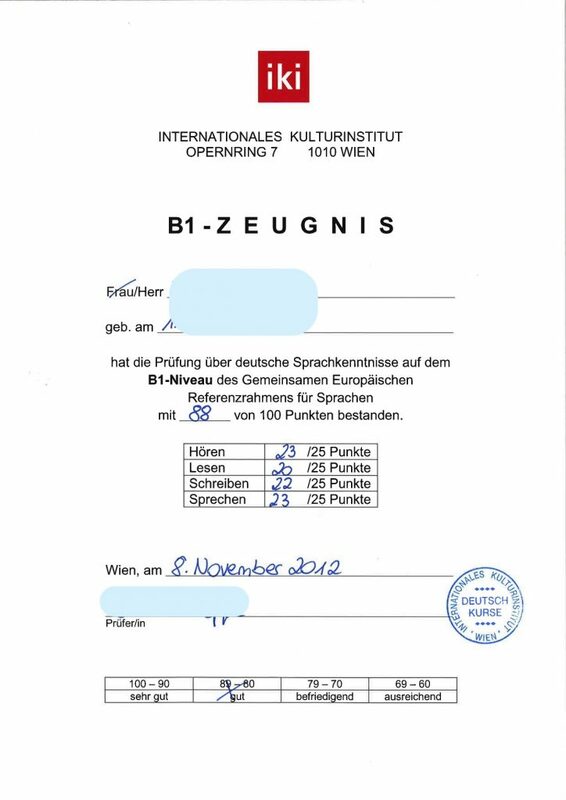 Maybe I could improve a bit on some pronunciations but overall I should have no problem passing the exam. The final result just couldn’t be better, 30/30. Aim for general improvement rather than passing the exam. I am aware that very few people go for the C1 exam just because they want to improve their German. If you are reading this article, C1 is probably for you a prerequisite for something, like enrollment to a university or a certain job. The score might make very little difference as long as you pass. But the preparation itself is a very good chance to improve your German in general, and you will likely need the language skill after you pass the exam. Simulate the real exam. You should control the time in simulation like an examiner is sitting in front of you. Write with a pen on paper and use the same type of pen at the exam. It certainly takes longer than writing in MS Word and it is more difficult to correct. But that’s how it is in the real exam. Writing with a pen forces you to think before putting things on the paper. And since you have to write in a very tight time limit, you’d better think fast. Iterate and get feedbacks. If you have read this article, you should have noticed that the feedbacks from my teacher were critical in my preparation. Iteratively improving your skills through feedbacks could help you acquire the necessary building blocks for writing and speaking, e.g., vocabulary, phrases, and connectors. I have seen other exam takers trying to memorize some template sentences in the pause before the writing part started. I don’t think that would yield any good result. 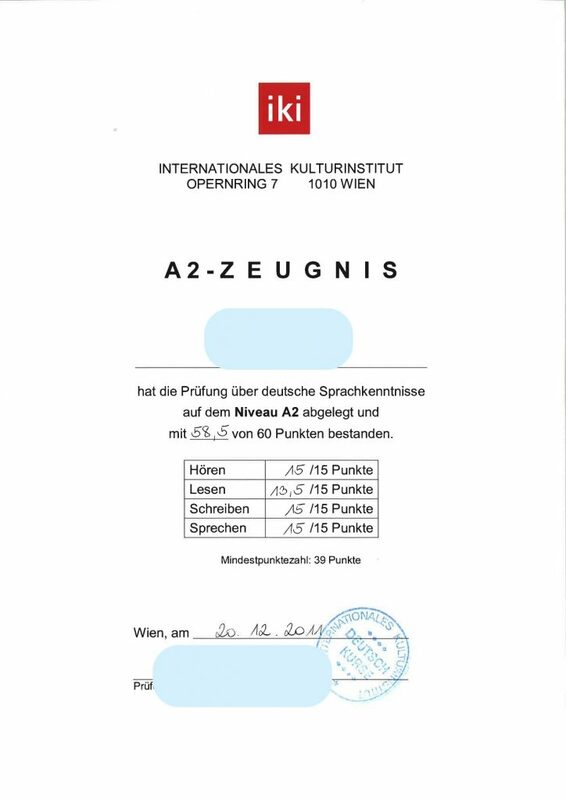 ÖSD is the official language exam in Austria for C1 and C2 levels. For integration in Austria, which requires up to B2 level, you need to take ÖIF now (Please check this article on the language politics in Austria). The abbreviation ÖSD is a wordplay, standing for both “Österreich, Schweiz, Deutschland” and “Österreichisches Sprachdiplom Deutsch”. There are a number of German exams in the market, Goethe, telc, TestDaF, ÖSD, ÖIF…you name it. Each one has it’s own use cases, like study, integration, or general proficiency. ÖSD exams are focused on using the language in real-world situations. In this regard it is similar to the most popular Goethe exams. However, compared to Goethe C1, the ÖSD counterpart has more tasks, takes more time to finish, and has some significantly more challenging tasks in the writing and speaking parts. You can find the official material and Modellprüfung on the ÖSD website. In this post, I am going to analyze all the tasks with my personal experience. 4 tasks, 90 minutes, maximum 20 points, minimum 10 to pass. 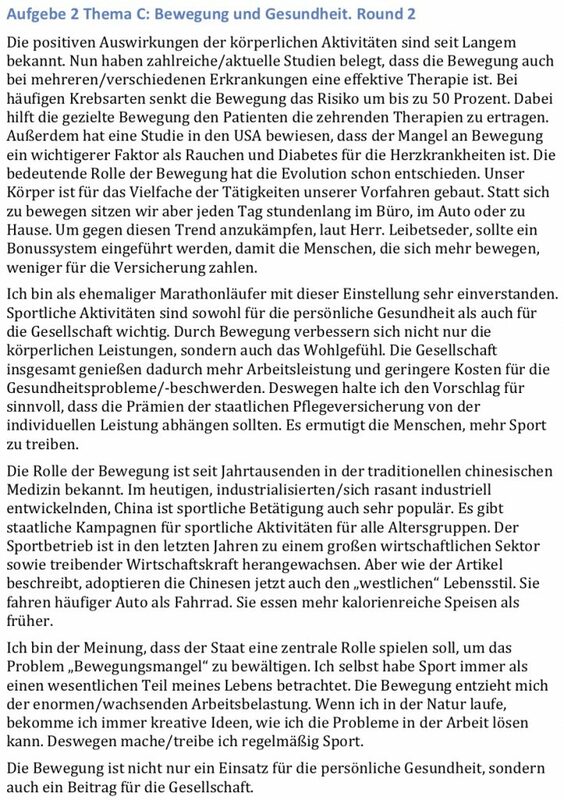 Aufgabe 1 is a standard reading comprehension: an article about a certain social subject and 5 single-choice questions in the end. The goal is to test your understanding of details. What’s interesting is that one of the options in the writing part is to write a commentary to this article. If you like the subject you can already start to think about how you would write a commentary about it. More on this in the writing part. 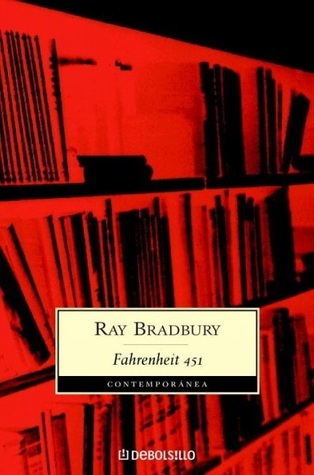 In Aufgabe 2 there are 5 short texts and 10 titles. 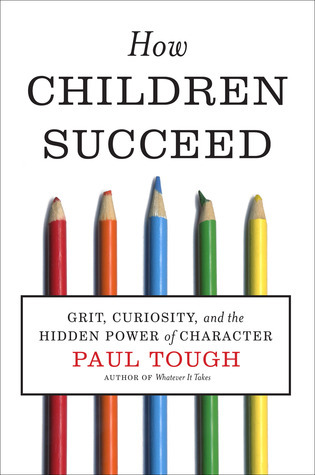 The task is to identify the key message of each text in order to assign the right title to it. 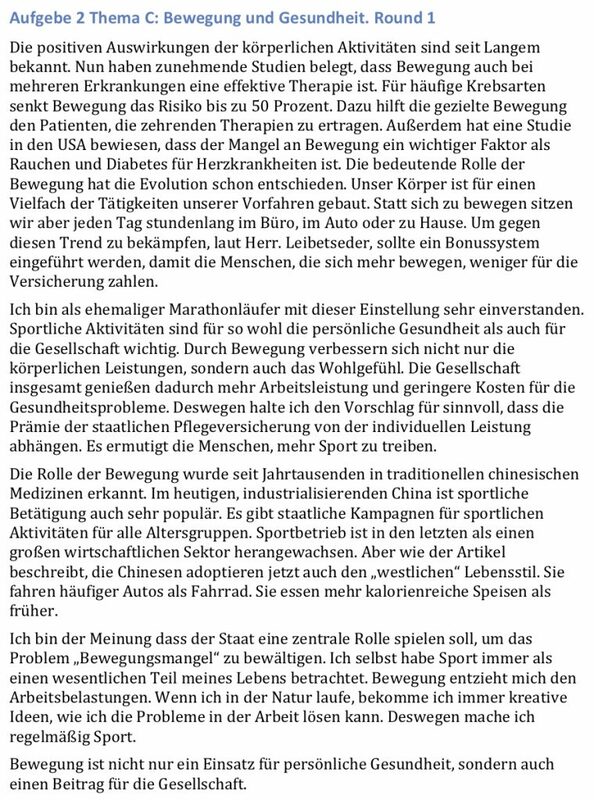 Things start to get more interesting in Aufgabe 3, in which you “compose” a coherent article with the given materials. You get an article where 5 short paragraphs are missing. You also get 7 candidate paragraphs to fill in the missing positions. It’s a bit like a half finished jigsaw puzzle. Two of the candidates are just there to confuse you. You need to identify the signals in texts so that your chosen candidate connects the paragraphs before and after coherently. Aufgabe 4 is a typical text completion exercise with 15 blanks. It’s always exactly one word missing in each blank. The missing word could be a verb, noun, preposition, pronoun, anything. It’s a test of vocabulary and idioms. If you can’t recall a word or an idiom, or if you don’t know the right preposition after a verb in the context, there is little chance you can guess the right key. The maximum score of this task is 5 but an experienced examiner told me that it’s almost impossible to get all the blanks right. I scored 19 out of 20 in the reading part. I am pretty sure the 1 point I lost is in the notorious Aufgabe 4. 2 tasks, ~40 minutes, maximum 20 points, minimum 10 to pass. 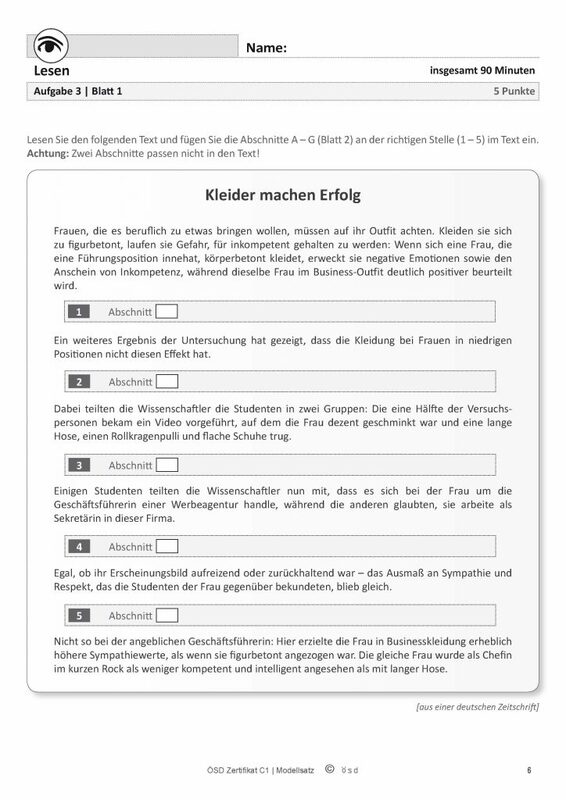 Aufgabe 1 is a standard listening comprehension with 10 single-choice questions. You hear a radio program twice, in which multiple people talk about their research or opinions. You may encounter various accents, talking speeds, styles, and background noises. In Aufgabe 2 you hear a presentation twice to fill in 10 missing blanks. The grading is not focused on grammar in this task, meaning that some errors on the form of a word, like singular/plural, tense, and word ending, are tolerated. As long as you get the word right you get the point. I scored 16 out of 20 in the listening comprehension. Although listening is normally my stronghold, I am not surprised that I lost 4 points here. The listening material for Aufgabe 1 in my exam was very difficult, which has got some fellow exam takers complaining afterwards. It has even surprised our examiner, who confirmed after the exam it was new to her and it was a difficult one. 2 tasks, 90 minutes, maximum 30 points, minimum 7 points on each task and a total of 15 points to pass. 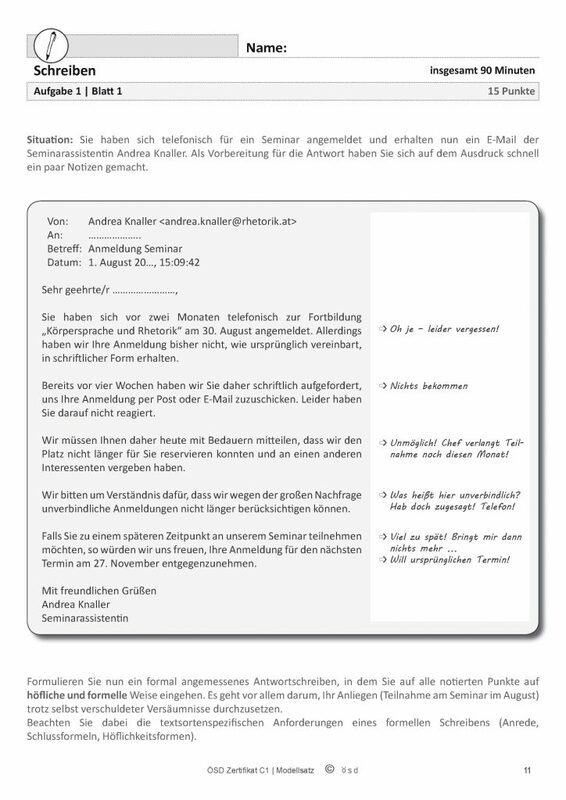 Aufgabe 1 is an email complaint. You receive an email about a dispute that is usually a result of your own error, like delay of payments, missing deadlines and so on. Your task is to reply the email to explain the situation, suggest a solution, and eventually minimize the loss. The points to be addressed in the reply are already given in colloquial form as notes to the original email. Formality and tone are important in your reply because the goal is to convince the other party and solve the problem. For this task there is no minimal number of words. 100-150 words are enough. There is also no time limit other than the total 90 minutes for both writing tasks. But per my experience you should spend a maximal of 20 minutes for this task in order to leave more time for the Aufgabe 2. Aufgabe 2 is an essay. You can choose from three topics of different styles for this task and for each one there are specific points to be covered. You should write at least 250 words. However, for a good score you should target 350-400 words, which means about 500 words in total in 90 minutes. The first topic is a report (Referat) on statistics. You should write about the following points: summary of the statistics, interpretation of the information, situation in homeland, and personal opinion. This variant seems to be the easiest and most straight forward to write about. At least that’s what I thought at the beginning. Just use some template sentences and it’s done. But as my preparation progresses I growingly found writing summary of statistics rather boring. And if the topic is not interesting, it’s still difficult to cover the other three points. 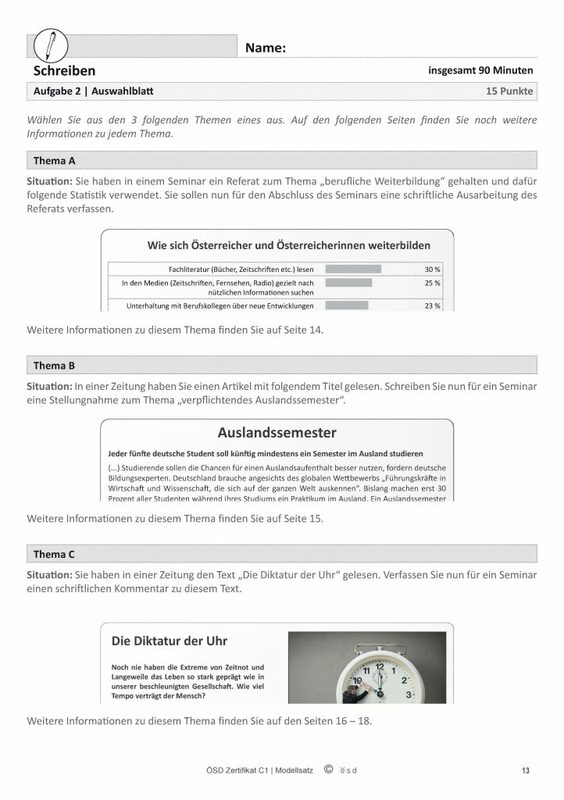 The second topic is an opinion piece (Stellungname) on a short text. You have to address 4 points: summary of the text, argument about the pros and cons, personal opinion, and situation in homeland. I have found this one the most annoying since the beginning of preparation. The text is short and the summary has to be shorter. It’s often difficult to distinguish the argument and personal opinion. If I have clarified the pros and cons of a certain policy, my opinion should be clear. I often struggle on point three because I have already expressed my opinion in point 2. The third topic is to write a commentary (Commentar) on the reading comprehension article you’ve read at the beginning of the exam. The logic is that although it’s a long text, you’ve read it already. The points to be covered are summary of the article, personal opinion to the information, the situation in homeland, and what should one do to deal with it. To summarize a long article in such a short time in the exam is very challenging. At the beginning of my preparation I thought I would never choose this one in the actual exam. But after some practices it turned out that the topic is more important than the form of writing-the more interesting the topic, the faster I can write, and fewer mistakes I make. This is the option I eventually chose in my exam. I got 25 out of 30 points in writing, in which 13 on the email and 12 on the essay. This is an acceptable performance given how much efforts I have put in this part during preparation. The three parts above-reading, listening, and writing-make up the schriftliche Prüfung, which is done in one session. This means you will have to sit there for almost 4 hours, with some short pauses in between. That in itself is a challenge to stamina and concentration. Do pack some snacks before you go. 3 tasks, ~40 minutes including preparation, maximum 30 point, minimum 18 points to pass. Tasks are not graded separately. The mündliche Prüfung is carried out in a separate individual session, which normally takes place in the week following the schriftliche Prüfung. Different to Goethe C1, you are the only exam taker in the session with two examiners. You get 20 minutes to read the material and prepare your talking points for all 3 tasks. Then you need to talk for about 20 minutes. The 3 tasks are set in different scenarios and require different talking styles. Aufgabe 1 is an apology over telephone. Usually it’s about a missing appointment. After apologizing and clarifying the situation, you should try to convince the other party, played by an examiner, to agree with an alternative solution. The conversation is formal. During the call you and the examiner look in different directions. In Aufgabe 2 you need to work with a colleague to choose one of two given pictures for a newspaper or magazine article. In your preparation time you should have already chosen one of the pictures and the examiner will play your colleague who prefers the other one. Since you are playing colleagues you address each other per du. The conversation goes at a relatively fast pace with arguments back and forth. For this you should not only prepare the arguments for your choice, but also try to think from the perspective of the other party and prepare your counter arguments. 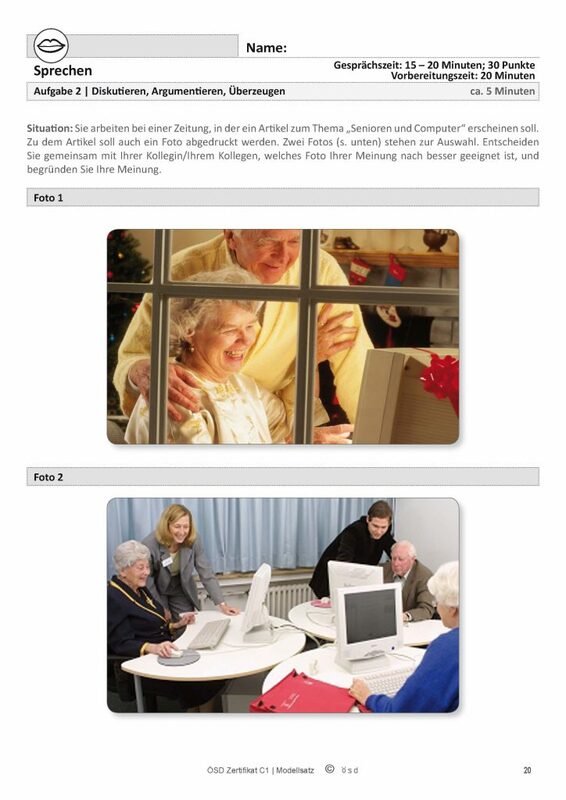 The Aufgabe 3 is a presentation. You get three pieces of information on a sheet of paper: a set of statistics, a short text, and a long text. All the information is on the same subject but from different sources with sometimes conflicting messages. You have to cover four points in the presentation: summary of the given information, personal opinion, situation in homeland, and what you would do personally in dealing with the subject. You should talk for about 8 minutes and leave some time for questions and discussion. It’s a formal presentation that starts with greetings and ends with thanks. This task is in my opinion the most difficult of the whole ÖSD C1 exam, although I heard that more people fail the writing Aufgabe 2 than this one. Time is extremely tight and you have only one go. The goal is to cover all points while making as few mistakes as you can and speaking as logically as possible. You may stumble occasionally but you need to reorganize your words quickly. This one really tests your language fluency. Mistakes are tolerated to a certain extent, but you can’t make too many. On the other hand, if you are thinking about grammar and word order all the time you won’t be able to focus on the content of your presentation, which will in turn lead to more stumbles. ÖSD has published two videos examples of the mündliche Prüfung: example 1, example 2. I scored 30 out 30 in the speaking part. Not a single point is lost. I was (ironically) speechless when I saw the score. I have certainly made a few mistakes during the exam, but who doesn’t? It’s German. That’s a summary of the ÖSD C1 exam with my personal experience. I am more than happy with the 90 points I got out of this difficult exam, but the result didn’t come automatically from the C1 course. My german teacher has guided me through some very specific trainings to both prepare me for the exam and further improve my language skills. The preparation of ÖSD C1 will be the topic of my next post. 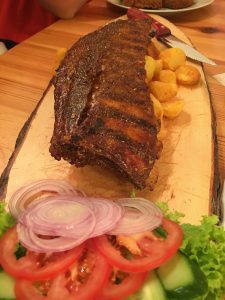 This weekend I celebrated the 10th anniversary of my arrival in Austria with some Sturm and Spare Ribs. Passing B2 was the most significant milestone in my years of language learning. It was enough for me to feel mentally integrated in the country. But it was far from enough in terms of language proficiency. I could at best understand 90% of the details in meetings, and with some efforts, make people understand what I wanted to express. From my employer’s perspective I was qualified, which means they wouldn’t pay for my German course anymore. So I asked my German teacher if I could continue the private course with her on C1 level if I paid by myself. At that time I had already developed a good working relationship with her. We agreed on the terms quickly and started in May 2016. My goal this time was first of all to further improve my language skills. C1 certificate was not a legal or professional prerequisite for anything I would like to achieve. The course was therefore completely voluntary. We didn’t even set a finish time. The general agreement was 1 session per week and 2 units every session. 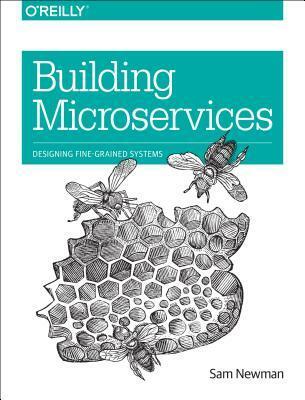 In reality with all the vacations, business trips and other interruptions we actually only had 37 sessions in 1.5 years, or 74 units until we finished the C1 book. Besides, I have to admit that I was under less pressure to learn German now. The intensity was much lower than the B2 level and this actually made the learning more enjoyable. In my experience there wasn’t much of a learning method to speak of at C1. It’s just a matter of more practice, more topics, and broader vocabulary. From my German teacher there was one suggestion that worked very well during my C1 course: the whole learning process should be guided by me rather than by the teacher. At B2 level I knew what I had to improve and what I wanted to learn. Now I could also control my pace. I focused on the vocabulary and writing because I had enough listening comprehension and speaking at work. During the week, when I was in the mood, I would work on vocabulary in the morning and other homework in the evening. Weekends were reserved for writing. Every time we met she asked me to first tell an interesting story that happened since our last session. She would also tell me some interesting events from her side. This would usually lead to random chat. Sometimes when I was too tired or the topics were interesting we could even talk for more than an hour without opening the book. I have always valued this kind of chat with the teacher because it required a significantly broader vocabulary than what I usually use at work. Since I could finish most of the homework by myself, the actual course part was a chance to get feedbacks and understand the difficult grammatical phenomena and nuances in expressions. We would discuss the questions I collected from the homework and read selected texts laud. If I wrote something I would also read it so that she could spot the errors and suggest possible improvements. She would bring extra materials from time to time. Sometimes just fun articles, sometimes upon my request targeted exercises like Konjunktiv I. Although I was not in a hurry this time, I could still get frustrated because it seemed impossible to get everything right. Once I asked the teacher when and how I could master the verb + prep. combinations. She said, 30 years. It was obviously not very encouraging. Then she said it’s normal. And I have been learning with her for more than a year, I will need only 29 years from now. I take this as the second most important piece of advice on my journey with the language. It’s a life long quest I have willingly accepted. As the course progressed slowly but steadily, there were noticeable signs of improvement at work. Half a year into the course I have started to work with some colleagues in Germany, who had no idea of my history with the German language. We have communicated in German since the beginning. Once I was having a conversation with a German colleague and an English-speaking colleague. When the English-speaking colleague left the conversation briefly, the German guy almost immediately switched to German because only two of us were in the conversation. I regard this as a sure-fire sign of accepting me as a German speaker. Language learning is a lifelong mission. At any stage there is always a chance to improve. With things like preposition, word genders, and Konjunktiv I, the only way to really master them is years of observation and reflection. Do your homework. There is always more. I usually finish 10-15 pages of homework between two sessions. I used Erkundungen Deutsch als Fremdsprache C1: Integriertes Kurs- und Arbeitsbuch. Get a good teacher and build a good relationship. Private teacher is probably the best choice for C1. I say probably as I don’t have experience with group courses at C1 level. But it’s hard to imagine getting enough individual feedbacks from group courses. The course was finished in November 2017 and I was very inclined to do the C1 exam. In the next post I will present a thorough analysis of the ÖSD C1 exam. Update 1: For discussion you can also check the Reddit discussion thread. This is the second post of my blog series on learning German, dedicated to my experience of learning at the B2 level. 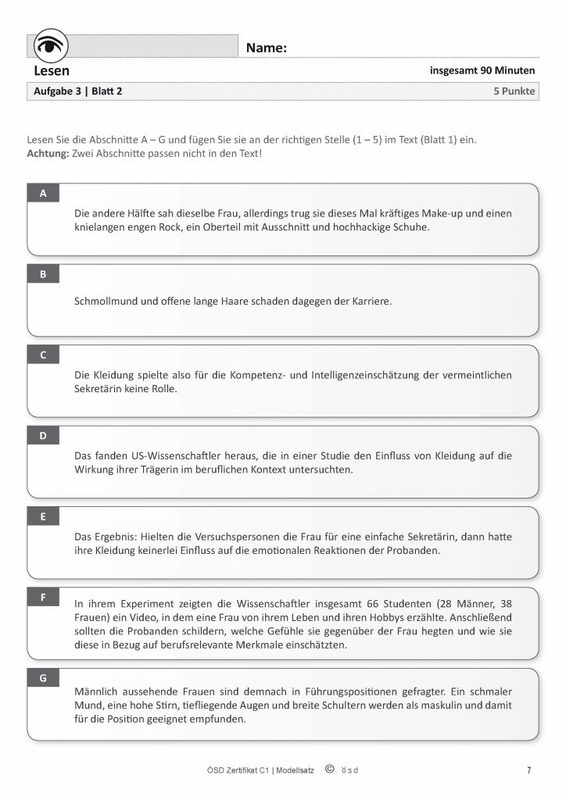 You can find the previous post on zero to B1 here: How to Pass German Language Exam C1 in 10 Years (1) — From Zero to B1. Things really began to gather pace when I started with my current job in August 2014. I passed the job interviews in English, but the offer came with strings attached. Although it’s an international company, the department mainly deals with Austrian customers. A high-level manager demanded me to speak German at work in 1 year. Therefore I only got a 1-year limited contract. The term would be extended to unlimited only when I was able to speak German at the end of the first year. I immediately realized that if I were ever going to speak German properly and stay in Austria in the long run, this was my only chance to make it happen. Before the job started, I had mentally evaluated my then German skills. I could understand the general ideas of most conversations and writings if I knew the context. I could also ask questions and repeat the answers to some extent in order to clarify things. In other words, I was a proper B1 level German speaker. In addition, in technical discussions in my field I could understand even more, say 80%-90%. But I couldn’t actively join these discussions in German. It was obvious that only doing a B2 course was not enough to enable me speaking German daily at work in one year. I had to change the language environment, which means I must work in German from the beginning, although I couldn’t yet. I announced to my colleagues on day one about the conditions in my contract and set the rules straight. I might need to speak English to them but they should always talk to me and answer my questions in German. Even in meetings with external partners I tried my best to hold on to this rule. I just told them don’t be surprised that I speak English, please just carry on in German and also talk to me exclusively in German, unless I ask them to explain in English explicitly. This was not easy for anybody around me. Everybody CAN speak English here, obviously. It’s only natural to answer in English if I ask a question in English. From time to time I had to ask conversation partners to switch to German when they started to talk in English. There were countless awkward moments and misunderstandings, but I stood by my rules. And my colleagues have shown great appreciation of my efforts. For this I am always grateful to all these colleagues. Seriously, it’s a company. Getting things done is more important than helping a colleague to improve language skills. A couple of months into the new job my manager agreed to pay for a B2 German course for me, which was another boost for my German learning. To my surprise the department in charge of training gave us an offer of private course. It was a one-on-one course during which I could make appointment with the teacher on when and where we would meet each time. Most of the times I asked the teacher to come to my company in the after hours to minimize my overhead. Interruptions from business trips or workload could still occur but I wouldn’t miss a lecture anymore because I could cancel an appointment in advance. In general I tried to keep the pace of two lectures per week and 2 units per lecture, which is more or less the maximum for anybody working full time. The homework was very demanding at B2 level. There was a lot more than repetition of grammar or sentence building. I needed to set dedicated time blocks for writing and vocabulary. Don’t forget that I also had to handle my actual work while processing information in German. After half a year or so I finally started to speak German in internal meetings. I remember the switch was almost natural, or at least my colleagues pretended to not notice. One day I prepared for what I would say in a meeting and started in German, and the meeting continued in German. Nobody was surprised. No comments on my language switch. At a final demo meeting at the end of my first year, I presented my solution in German to partners. It was understandable judging by their response. I also spoke German exclusively at a meeting with the high level manager who asked me to speak German in 1 year. My contract term was extended to unlimited. My B2 course was also finished at around the same time. At that time I was already thinking about getting the Austrian citizenship. B2 is a prerequisite for citizenship application after staying in Austria for 6 years. So I registered to the ÖSD B2 exam, which was at that time the official exam accepted by immigration (See note on this at the end)*. I took one model exam to get a sense of difficulty and to familiarize myself with the structure. It didn’t seem to be difficult at all. Then I went to the exam without any further preparation. I don’t remember much about the ÖSD B2, except that the actual exam was much harder than I had expected. You can see that my grades were average. Anyway, I passed B2 after living in Austria for 7 years. The B2 phase was without doubt the most important time in my 10 years of German learning and one of the best years of my life. I had the best conditions for language learning: language environment, private course, and a strong will. I could almost feel my progress every day. Reaching B2 has also completely changed my prospect of staying in Austria: a stable and promising job that offers a career path, speaking the language of the country, qualification to apply for citizenship. On top of that I met one of the most important teachers in my life, who has being guiding me on German learning till today. BTW, I also managed to finish my second marathon with a personal best (Chicago Marathon, 3:57:38) several weeks before the B2 exam. The language environment is not given even if you live in a German speaking country. You have to build it by yourself. Don’t assume your friendly chat with the supermarket assistant or the old lady in your building could bring you language competence. You need real topics and real challenges. The earlier levels have already taught you most of the grammar. At B2 level you should start to use the language in most of the scenarios in life. You need to identify your weaknesses in the language and you need to find your own way to strengthen them. This requires systematic efforts with a certain level of intensity. I have already mentioned how I improved my spoken German. Writing was also a big challenge to me. So I wrote most my emails in German at work and also wrote for B2 homework on weekends. There is a huge amount of homework at B2 level. For those who can relate to my experience, learning German while juggling job, family, and other duties is a test of your will. Be sure you are mentally and physically fit for this. The next post will be about my experience of learning at C1 level. It’s again going to be a very different story. 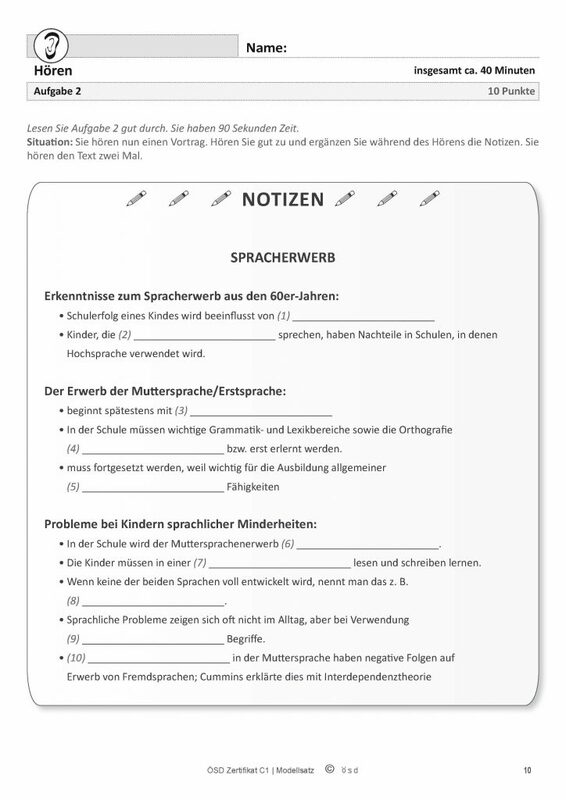 * A note on language certificate for immigration in Austria. The language politics changed overtime. 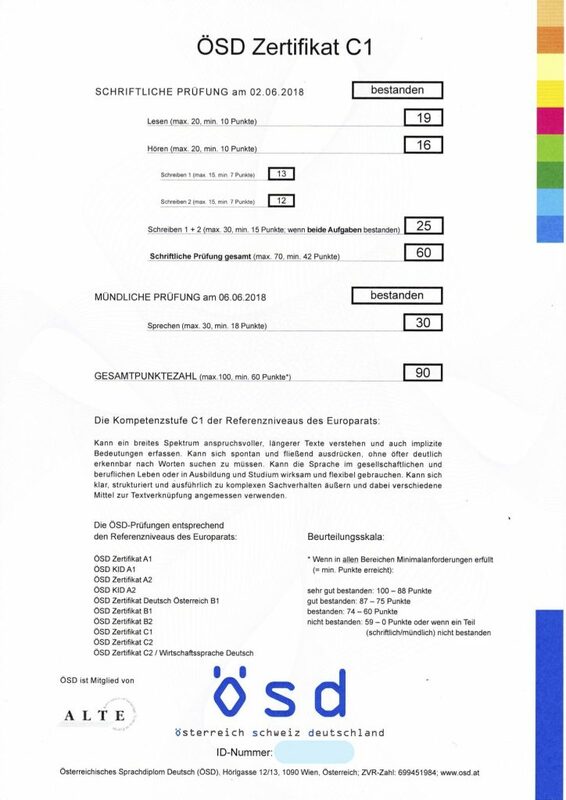 Only ÖIF (Österreichische Integrationsfonds) certificates are accepted by MA35 now. There is an interesting article on this: Kampf der Deutschdiplome. 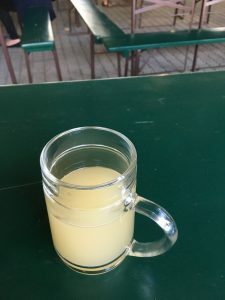 This post is the beginning of a series on my journey with the German language. I call it a journey because language learning has been part of my life in Austria as an immigrant for 10 years. My learning experience is not as straightforward as which of the students who get a block of time in life, maybe a year or even two, to acquire the language. But I suppose no matter why you choose to learn the language or how fast your progress is, most of the German learners have gone through some mental struggles and technical difficulties in the process. Therefore what I hope to achieve with this blog series is that my experience from zero to C1 could encourage you, aspired or frustrated German learners, to find your own path with the language. So, sit tight. It took me 10 years to come this far. It shouldn’t be a surprise to anybody if it takes me several weeks or months to finish writing this series. I arrived in Austria on 28.09.2008 to take an academic job. I didn’t know where that job would lead me. Nor did I know how much it would change my life in the future. And I certainly didn’t know I would one day acquire a second foreign language. In fact, I hadn’t put much thought on these things. I was merely trying to adapt to the new environment and deliver on my new job. Once I felt a bit settled down, the necessity of at least knowing some of the local language had become clear. I started with a free course on Deutsche Welle, the Warum nicht? series. The units are small and time spent on each unit is controllable. If I had enough energy left after a day of work, I could finish one unit in the evening. It was both exciting and confusing. Exciting because I was learning something new. Confusing because, well, it’s German. There were so many unanswered questions. Why are there three definite articles? Why do they have so many forms? Why is the feminine definite article the same as the plural article while the feminine definite article in dative is the same as the masculine one? The whole idea that every word could be declined in a simple article-adjective-noun combination like “the big apple” was just alien. This might not be the case for many European learners. But my mother tongue is not even in the Indo-European language family. The first obstacle for me to learn these languages is to accept that these concepts exist. That reminded me of the time when I started learning English in China at the age of 12. It was also very difficult to mentally accept the fact that there is something called tense. After finishing Series 1 of the “Warum nicht?”, I knew I couldn’t continue with it. I registered to an A1 course. My job as a young foreign academic was demanding and I had to travel frequently. I could only take the evening course, twice a week, 2 course units every time. The teacher was very good and helpful. Classmates were nice and we had lots of fun. It was far more motivating than learning from a book alone. I tried my best to give some time to German in the evenings and on weekends if I was not working overtime. Sometimes I had to bring German homework with me on business trips. It must be strange for other fellow European passengers to see an Asian guy dressed in casual business style doing pupil’s homework in flight. During the course, other than accumulating the knowledge about the language itself, I have also got the most important piece of advice on learning German. I was known for asking questions and making quick remarks in class since I was a kid. In the course I wanted to get answers to all the questions I had when I was studying by myself. This were finally put to a stop as the teacher told me in class: “Frag nicht warum! Es ist Deutsch!”. She was totally right. 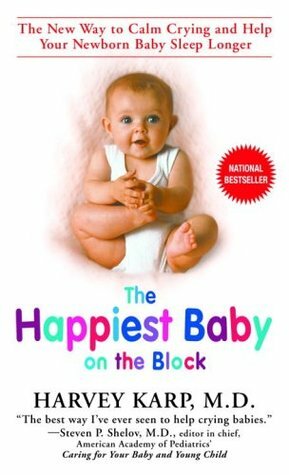 It was not useful to ask why when learning German, at least not at that early stage. 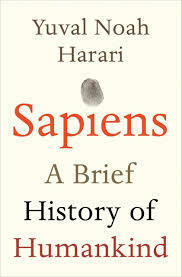 I think some linguistic knowledge on how languages evolved could certainly help but that was not for the A1/A2 level. Once I accepted that rules are random and exceptions are norm in German, it became much easier for me to learn the peculiarities of the language. Eventually I finished the A2 course and took the free exam at the institute. The grades were excellent. And if I recall correctly the exam report issued by the institute at the time was accepted by the immigration to change my visa type from work permit to residence permit. But in terms of language competence, other than knowing some basic concepts and words, I didn’t feel like I could use the language anyhow. In real conversations with Austrians the Austrian accent was a huge obstacle, because in the language course only Hochdeutsch was taught. And BTW my working environment was international. Everybody could speak English in office. As I was checking my past grades to write this post, I was surprised that I took the A2 exam more than 3 years after I had started in Austria. I don’t remember how many pauses I have taken between A1.1 and A2.2. Maybe there was also an A2 Plus course. What I do remember is that it was a very difficult time career-wise. My adaption to the European academic environment was not successful. I couldn’t see a future in Europe. But a more promising project was coming, and my wife had moved to Vienna. So we decided to hold on and give Austria another try. Since A2 was obviously not enough for anything practical and it looked like I would stay in Vienna for another couple of years, I continued to the B1 course. It took me another year to finish B1. Again the exam was not official but it was enough to extend my visa. Afterwards I could manage to speak German to the immigration officers and handle most of the basic conversations on phone with utilities and insurances. I could also partially understand the letters from various ministries and businesses. There were not many memorable moments during the B1 course. The learning experience was very similar to A1/A2. But I still remember the last lecture of the B1 course was called “Erdäpfel bleibt Erdäpfel”. It was a lecture about the differences between Austrian German and standard German. There was a list of Austrian words that are not often used in most parts of Germany, like Erdäpfel, Käsekrainer and Paradiser. In official EU documents the Austrian translation is differentiated from the German translation by these words. It was a greatly useful lecture to get into Austrian German. But in the actual spoken language, the difference is much more significant than this list of words. After B1 there was another long hiatus, again influenced by my professional life. It’s difficult to put up the effort to learn the language of a country when I didn’t know if I was going to stay in the country. If your mother tongue has plural, tense, case, and gendered articles, your start line is already far ahead of mine. Don’t ask why. It’s German. Accept what you learn. I know this is strange advice to be given by a career researcher and engineer, who is supposed to ask questions. But really, this has also been the most effective piece of advice I have received on German learning. Pace is a personal thing. For most people acquiring a language itself is not the end but the means. Other than a few exceptional cases everybody wants to achieve something with the extra language skill, being it to study abroad, better career chances, or immigration. If your pace is fast enough for your own purpose, it is not slow. 4 years were objectively a long time to reach B1. But I didn’t feel it was slow, because it was not required by my job and my pace was fast enough to extend my visa. In the next post I will write about my experience with learning German at the B2 level, which will be a very different story to this one.